Nestled amongst gumtrees and just off the main highway, the Merredin Motel & Gumtree Restaurant offers guests a quaint, rustic country experience. Jodie & Shelley are keen to retain these characteristics, whilst working to modernise and upgrade the facility. The property includes a modern restaurant providing coffee, cake and lunches 4 days a week (Tuesday to Friday). A continental breakfast tray, packed lunch and an evening meal can be provided to guests on request. 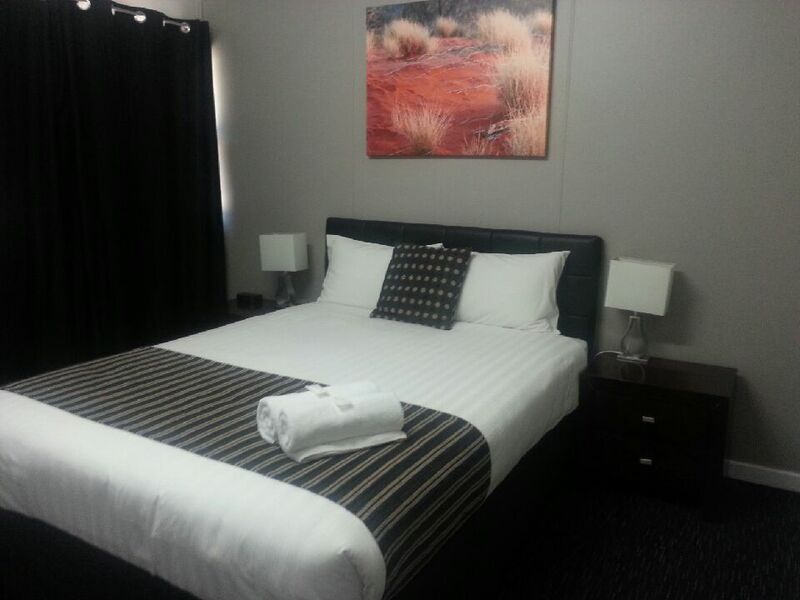 All rooms have digital 42" flat screen televisions offering a variety of Foxtel channels, and are clean and comfortable. Each room is equipped with reverse cycle air-conditioning. Services include: Daytime Cafe Restaurant, BBQ Facility, Foxtel, Reverse-Cycle Air-conditioning, Wi-Fi.